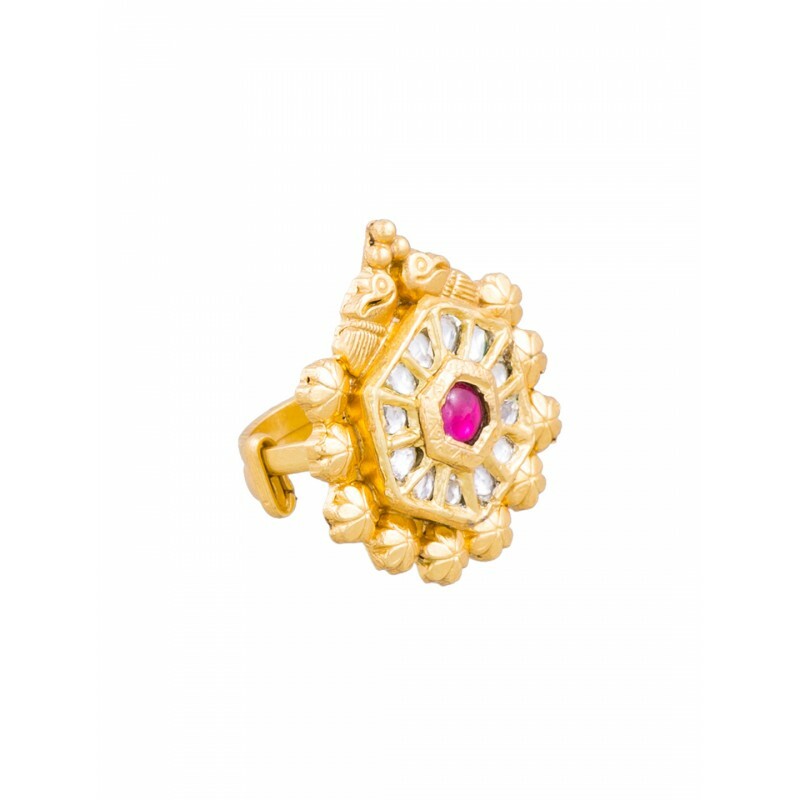 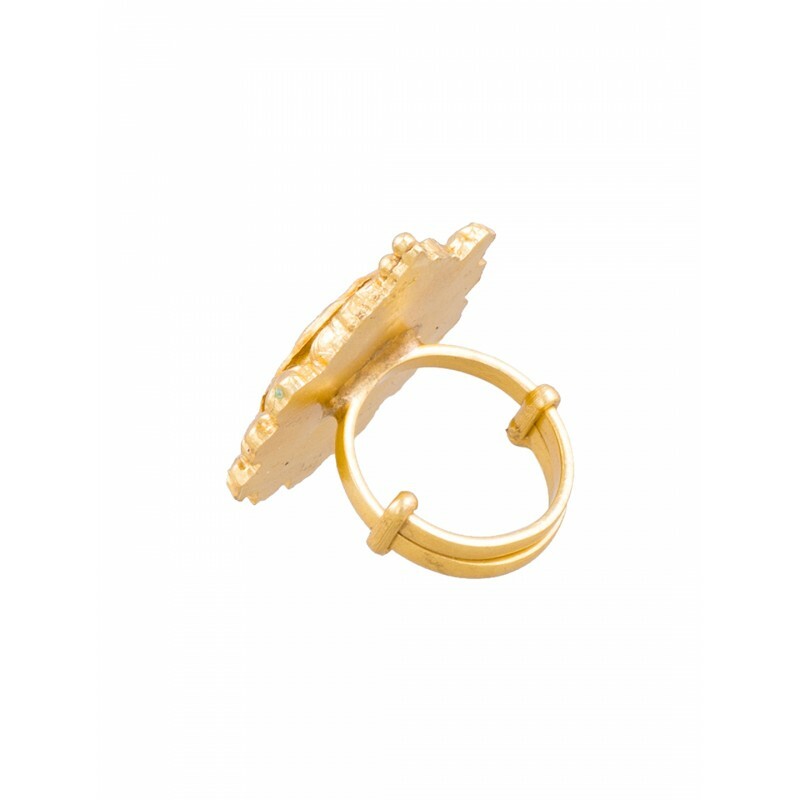 Add a touch of glory to your Jewellery collection with this delightful gold plated ring. 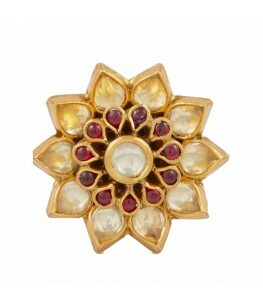 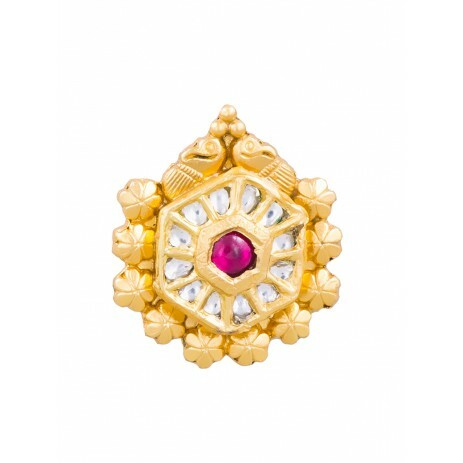 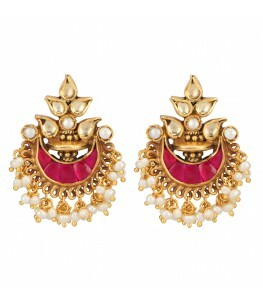 It has little, pretty flowers bordering the hexagon and kundan stones surrounding the ruby red coloured stone in the centre. Mounted with pure 24 Karat Gold Plating on pure 92.5 Sterling Silver.